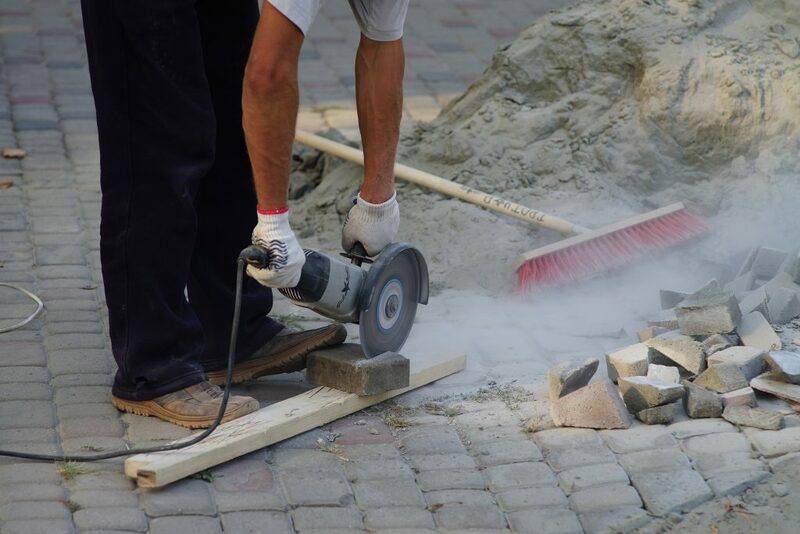 Cutting pavers can seem a very tedious endeavor especially if you don’t have the right tools. Angle grinders can prove very effective in this instance. Well, an angle grinder is a handheld power tool used for abrasive cutting and polishing. Pavers, on the other hand, is a construction stone, brick or concrete used to lay asphalt on surfaces,e.g. 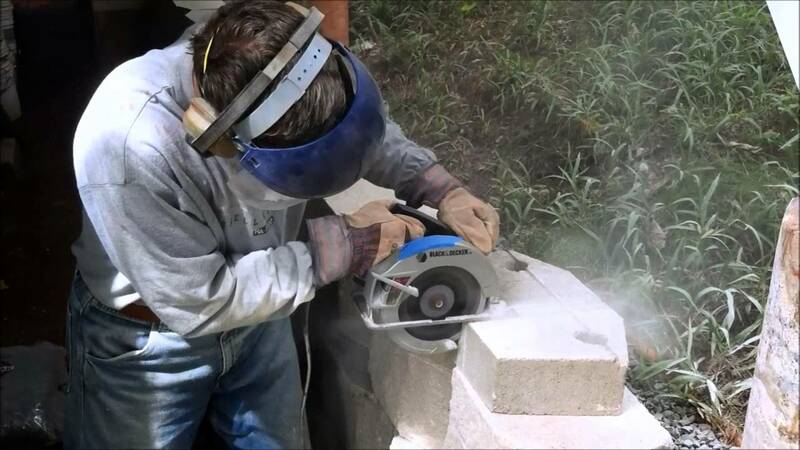 pathways, roads, bridges.In this article, we are going to give you detailed information on How To Cut Pavers With an Angle Grinder. One word of advice though, always wear protective eyewear because small paver chips might enter your eye. Not to worry though, this is a fascinating endeavor. When cutting pavers either roof tiles, slabs, or even bricks. Other angle grinders like side angle will be very necessary to complete the task. It is very effective in cutting any type of stones you come across. However, you should take great care and safety as you use the tool to avoid any injuries. Well, this operation isn’t life threatening so don’t be worried. However, the cutting process will need you to get a few protective gears on. For instance, good dust masks and goggles to protect your eyes from small paver chips that might enter your eye. You will also need to wear ear protection because the cutting process is quite loud. A pair of gloves is also advisable. Did you know that there are two types of grinders based on the size of the wheel? Well, angle grinders come with two basic wheel sizes: 115mm and 230mm. the smaller one can’t cut deep compared to the bigger one. Therefore, you should choose wisely the type of angle grinder you need. For instance, you need a bigger one for cutting larger slabs and a smaller one for small bricks. When getting the best quality, don’t go for the cheap ones, this might haunt you back. If you want straight and clean cuts, diamond discs are the way to go. They also last longer than cheap abrasive discs. This is simple, just measure the space you need to fill in your layout and transfer that measurement on to the paver. You can do this using a pencil to put the mark on the paver. After marking your paver, you can now position the paver on a flat surface. You can ensure it is off the ground. Keep the position of the angle grinder not in contact with the ground. Simple, right? You can now position the paver on top of a step such that the paver part with the scored line is at the end and is hanging over. You can now cut the paver accurately following the marked score you created. When you get the hang of it, it gets exciting and easy. Take your time to master the concept first though. You are now a professional paver grinder. Be advised not to force the blade by pushing it down when using an angle grinder to cut a paver. This may make a blade to shatter as well jump on your face. I know you would not like to experience that. It is your responsibility, to carefully guide the blade and avoiding pushing it down with a lot of force. This will be useful since the debris flying back towards you. Another note on safety is to ensure that the protective guard on your tool is always on. Always ensure never to remove it and if maybe you are borrowing the angle grinder from someone else, ensure you inspect the tool first to make sure the safety guard is in place before using it.